If you’re in need of a pick-me-up regarding how you feel about yourself or how you feel in general, consider switching to organic cosmetic products. There is something about taking in natural ingredients derived from gorgeous flowers or delicious fruit that makes you feel instantly healthy and fabulous. Pampering yourself with guilt and worry free beauty products isn’t just fun and healthy, it’s good for you, too. Nowadays, we finally recognize that self-care (or lack thereof) has a significant impact on our mental state. While self-care can take the form of any activity that you enjoy or find relaxing, many people opt to treat their bodies to restorative care to renew their spirits. Taking the time to care for your skin and hair can leave you feeling refreshed and at peace. Going the extra mile and treating your body, face, and hair to natural, organic products can make you feel like a whole new person! Not only are the ingredients in organic products better for your health, making the conscious decision that you’re worth higher quality products is a form of self-love. The boost to your appearance certainly doesn’t hurt, either. Organic products do not use potentially harmful chemicals, opting for natural ingredients instead. Organic products will cost you more up front but considering the alternatives, it becomes easy to see why organic cosmetics are a worthy investment. 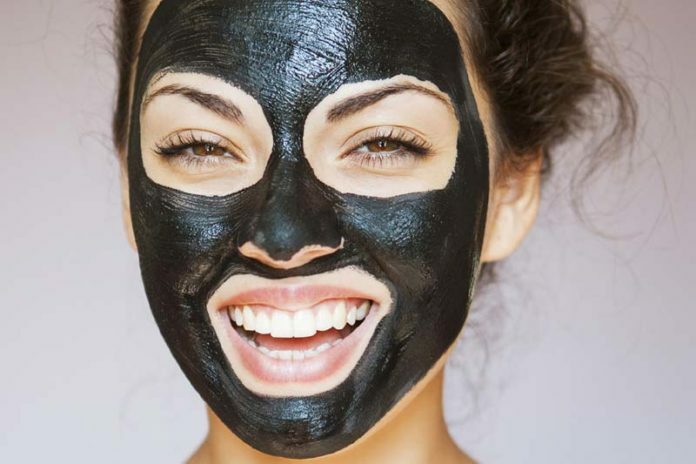 Traditional cosmetics are basically made of whichever chemicals can prolong shelf-life and produce strong scents and bubbles for the lowest price. It’s no surprise that those ingredients aren’t what’s best for our bodies. Beeswax, as a base for lipsticks, balms, mascaras, concealers, and creams. The good news is, the availability of organic cosmetics is on the rise. As more consumers realize how good it feels to care for themselves with all-natural ingredients, stores and brands are listening. Even those who live in areas where the selection of organic products in stores is slim can now shop an array of brands online. While some brands are entirely organic and dedicated to safe and natural products, others offer separate lines of traditional and organic cosmetics. 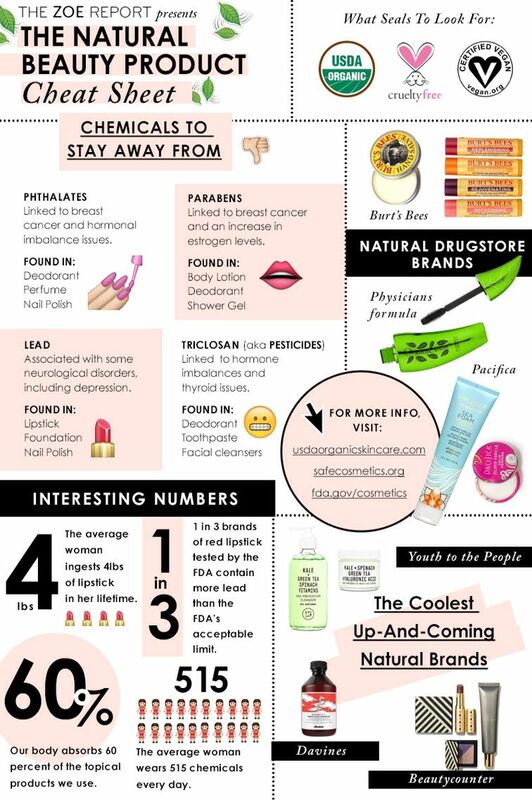 The following brands completely avoid the use of potentially harmful chemicals, opting for luscious compounds that can be taken directly from nature. 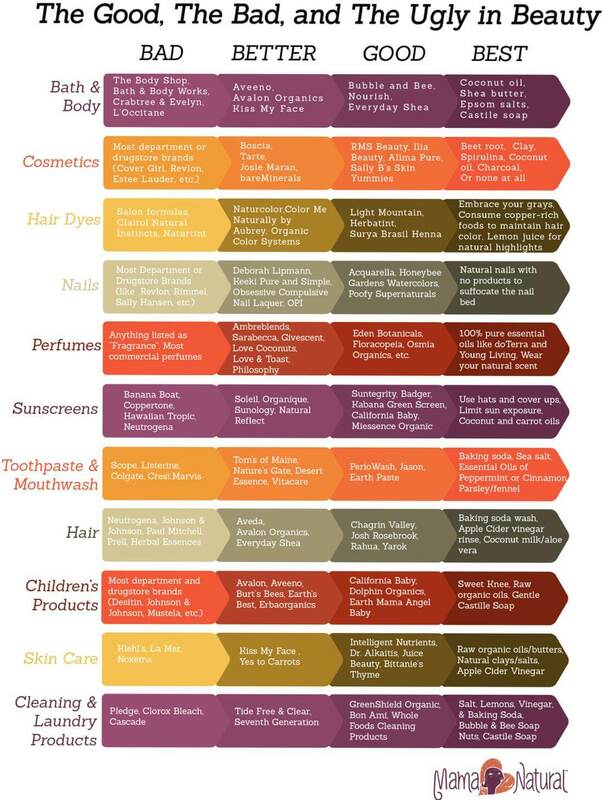 The Detox Market provides a full line of luxury organic products. Makeup, skincare, bath products, hair care, and even nutritional supplements and a subscription box are available in locations across California and online. The brand also offers a 10 percent off coupon code for first-time customers, plus a rewards program. You will be awarded “Detox Points” for each $5 you spend, as well as for reviewing the products you buy. You can then redeem these points for $10, $20, or $50 of online store credit. Juice Beauty is a brand passionate about organic products and sustainable ingredients. For a really good review of their products, click here. All Juice Beauty cosmetics and skincare products are free of harsh chemicals. They are also vegan, cruelty-free, and manufactured using wind and solar power. This brand claims that their fruit-extract skincare line is every bit as effective as traditional products, and its popularity seems to agree. Ulta, Sephora, Anthropologie, Macy’s, Bloomingdales, and many health food stores sell Juice Beauty products. New customers can snag a 15 percent off code by signing up for online offers via email. Pai Skincare is an organic, irritant-free skincare brand designed especially for those who struggle with sensitive skin. The brand’s creator formulated the gentle products herself, after fighting a life-long battle with skin reactions to cosmetics. Pai’s best-selling product, Rosehip BioRegernate Oil is the most concentrated rosehip oil currently on the market. It has received rave reviews both on Pai’s website and around the online beauty community. This brand sells products directly to consumers as well as to spas, providing an opportunity for sensitive-skinned spa-goers to relax and enjoy their experience. Pai offers free shipping on orders over $60 and a generous 90-day return policy. When it comes to loving and caring for your body, mind, and soul, cosmetics and skincare are hard to beat. Take your regenerative self-care a step further and invest in an organic product or two to add to your current routine. Chances are you’ll decide to make the full switch to organic soon after. Chemicals may be cheap, but they can’t compare to treating yourself to products formulated with pure, natural ingredients. Take a little time to research and compare cosmetic products, ingredients, and brands. You’re worth the time, and you’re worth the money. Besides, the difference in the way you look and feel will be priceless.